Once again, it is time to trust the magic of new beginnings. 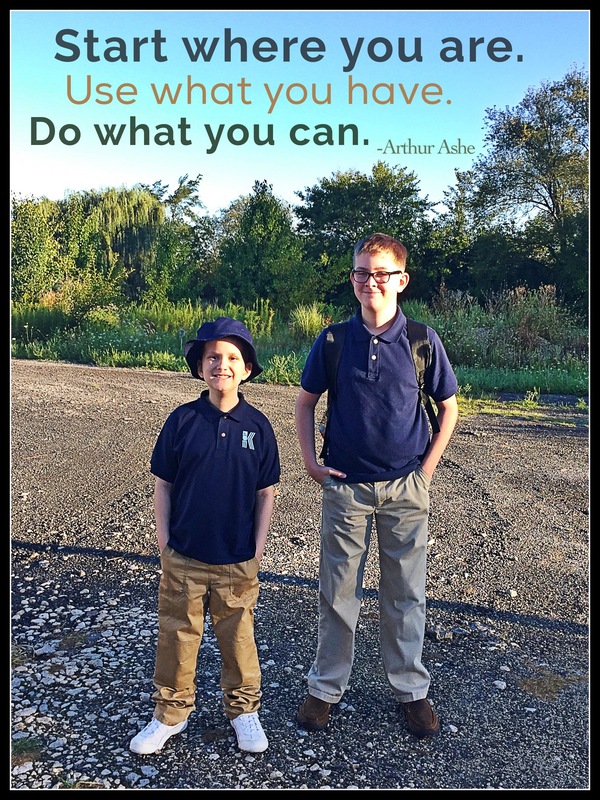 A new week, a new school year, and a new independence for my sons – and myself – begins today. Chris and I can’t remember the last time Abram made it through a full school day. Nearly two years, perhaps? I think he had a decent stretch of full days in November 2014. And of course, he missed the final week of Kindergarten when the tumor was first discovered. We will take it day by day. Abram still has doctor and physical therapy appointments to keep, but our intention is to see what his body can handle and work with it. I approach each schoolyear with a no nonsense attitude and high expectations. Out of habit, I feel my blog is reflecting my teaching style. I am fine with that. The topics on my mind right now aren’t easy to explain and until I work through the basics, I will stick with my teacher-mode voice. Even though I continue to write in a serious tone, I am certain I will work up nerve enough to relax into a bit more humor. Trust me, I’m a clown at heart. As a child, they couldn’t get me to quit long after the joke had gotten stale. My apologies still go out to my older brother and sister; I realize now telling the punchline once is sufficient. May the week be a strong one.